Breakfast smoothies can be a healthy addition to your diet especially if you are looking for an alternative to heavy meals that leave you feeling bloated. If you are just looking to add a refreshing and nutritious drink to your meal, breakfast smoothies are also great for this purpose. In this article, we are going to take a look at some perfect smoothies you should try out for breakfast this week. Berries are rich in fiber in addition to being natural antioxidants, low in calorific value, and high in vitamins C and K. Mixed together with spinach, they provide a filling and healthy smoothie for breakfast. An alternative to regular and soy milk smoothies, almond smoothies can be enhanced in protein value by adding powdered protein to the milk and blending it to make a delicious smoothie. When fresh strawberries and bananas are added to oatmeal and yogurt or milk, they make for a potassium packed smoothie that is low in sugar and high in fiber. Instead of having a peanut butter and jelly sandwich for breakfast, you can try out a peanut butter and jelly smoothie, complete with other ingredients of your choice such as yogurt or milk and raw nuts. By mixing Nuts or Nut Butter with yogurt along with other fresh fruits, you can make a smoothie that is high in protein. It is important to note that the above can be high in calorific value and lead to weight gain if consumed in excess. When orange is added to Greek yogurt, it not only makes for a creamy, delicious smoothie but it provides a rich source of healthy minerals and vitamins including vitamin B12 and calcium, in addition to vitamin C.
Mix oatmeal with fresh berries, ginger, and yogurt for a sweet, healthy smoothie that you can add to your diet in place of fruit salads. Kale is quite a strong flavor to add to a smoothie but you can balance it out by adding sweet bananas and pineapple to make a delicious, sugar-free smoothie for your breakfast. An extra addition of coconut milk can help further balance out the bitter taste of kale which can be a little overwhelming for some. There are plenty of smoothie recipes that you can try out for your breakfast, and you can always mix n match ingredients and make a smoothie that suits your needs. When making smoothies for breakfast, it is important to remember not to add sugary products or processed powders as they can lower the nutritional value of your smoothie significantly. 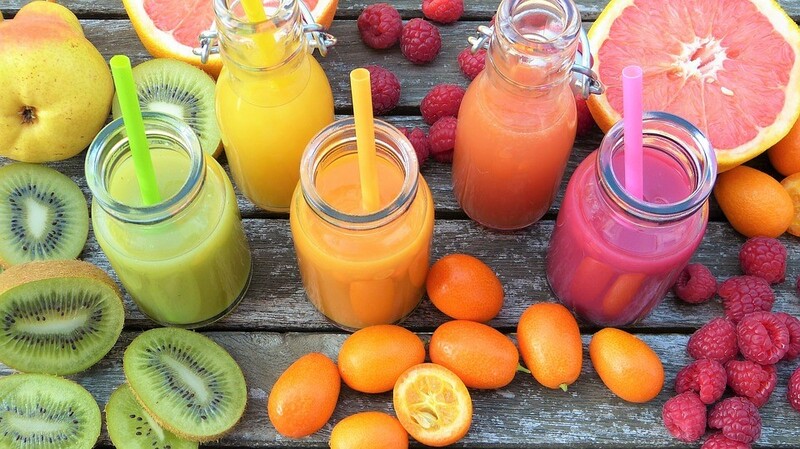 Take note to use fresh fruits and natural yogurts in your smoothies whenever you can. Breakfast smoothies are a good addition to your diet and can provide nourishment while satisfying your cravings for unhealthy sugars and foods.